Durable synthetic leather and Dynamic Fit collar conform to your foot for a streamlined, natural fit. 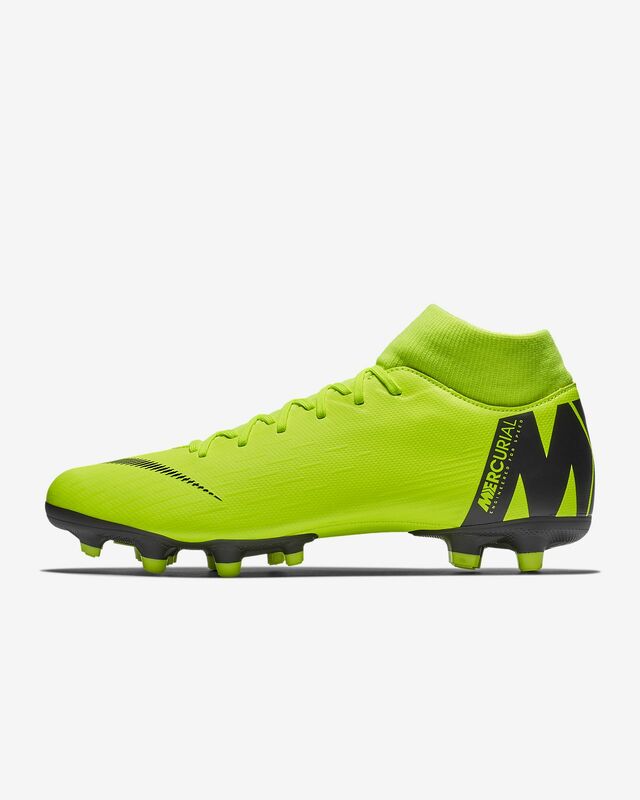 This is my second pair, I love the shoes but the cleats separated right around the six month mar so there goes longevity and the reason I cannot give it 5 stars. Also beware as they run small and you’ll have to purchase half size bigger. These shoes are a roller coaster. Surprisingly, they fit well for wide feet despite the narrow sock top and general fit. They are also generally well made. The sock bit is soft and the insole is comfortable. However, the upper doesn't have the grippy feel you'd expect this type of shoe and is very thick which can impact overall feel/control on the ball. For reference, my normal Mercurials are an old pair of Gen 8 Veloce's from 2012 (today's equivalent is 'Pro' I believe). I'd still recommend these because they are what you expect for the pricepoint. I only grabbed these because the stud pattern is more shallow and works easier for indoor artificial grass fields. If you want more control, quality, and comfort for outdoor- check out the next tier up.